You are not a real Filipino if you do not know the capital of the Philippines, etched between the walls of Manila is the rich history of the Filipinos who fought for the freedom of the country. 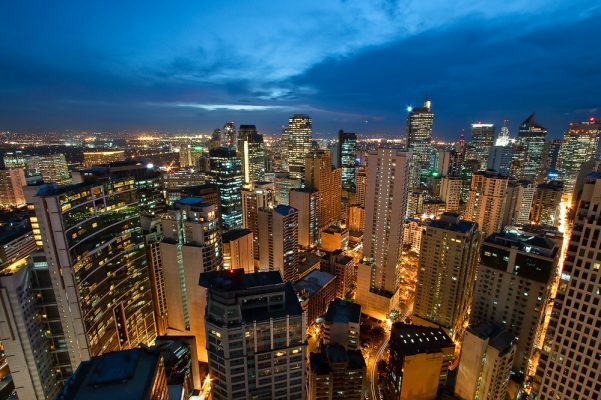 Beside the vast culture inside Manila, it is one of the most highly urbanized city in the nation. Promoting the combination of the beauty of the past and the prosperity of modernization, the city of Manila deserved to be the center of the metro. Best Flower Delivery Manila – As of 2015, 1.78 million people have been recorded living in the highly-dense space of Manila, making it one of the country that has a big issue regarding traffic congestion. The city is also where some of the foreign consulates and embassies are situated. This makes Manila a home of finance and commerce, hence the allure of in-migration from Filipinos from the provinces. Although this is not the main cause of road traffic in the city, the influx of people adds to it. With the worsening traffic in Manila, men from different ages sometimes miss-out occasion with their loved ones as a five kilometer ride home turns into hours of suffering and anger. Don’t ruin your special day, surprise your loved one with a bouquet of roses delivered right at your doorsteps. Evy’s Flower Shop is here to help you with your flower needs. With just a quick sleight of the hand you can buy the flowers of your choice and have our men deliver it to you to impress the love of your life. Evy’s Flower Shop was built to continue the rich tradition of our ancestors, by giving flowers to your loved ones, as it shows the respect and love for the recipient. With a touch of modernization, Evy’s Flower Shop is ready to deliver any flowers with elegance at anytime and anywhere here in Metro Manila. Evy’s Flower Shop can cater almost any occasion that needs a bundle of fresh bouquet. There’s a huge choice of floral design and style. Each celebrations need a unique style of design, there may vary depending on the mood, event or theme but every occasion we promise to provide the best flowers that will suit your need. Anyone can order online or can call friendly customer service providers for your shopping support and convenience whether it be pick-up or delivery, Evy’s always make sure to serve fresh flowers. Who would not felt joy upon seeing a bouquet or even a stem of rose being delivered in their doorstep? Who would not felt touched when someone had remembered a special day and gave them flowers? No one. Actually, it does not have to be a special day to give someone a gift or a flower, remember that even if it is an ordinary day, giving something to a person you care about turns an ordinary day into a special one. Whether if it is for the girl that you have been dreaming of or for your mom who have sacrificed everything for you, they will surely feel how important they are to you. The bottom line here is that it does not have to be an expensive one, but it is the importance of remembering them. Well, you have nothing to worry about if your concern is that you are a busy person because in no time and in a snap of your fingers, you can now express your feelings – love, gratefulness, even admiration – for them. Just like your favorite pizza and scheduled packages, just with today’s express delivery, bringing flowers to that special someone’s in their doorstep is now easy as one, two, and three. Why flowers delivery in Manila? Best Flower Delivery Manila – The question is why flowers? Why not expensive material things that that person can use in his or her everyday life? That, instead of giving them bars of chocolates, why don’t you give a bouquet of fresh and beautiful flowers? Aside from the fact that chocolates have bad effects on your health (talking about the unhealthy amount of sugar, and fats), there are chocolates that in just couple of minutes, because we are in a tropical country and we have a hot weather, admit it that in no time, it will begin to melt. If you choose to give someone a special gift like a pair of earrings or some kind of jewelries, it may take days or even a week before it will be brought or delivered. So, instead of choosing these kind of gifts (which you are planning to do so), pick some special flowers for that special someone and don’t forget the card with your message! But in fact, only few people are using this kind of method in showing their affection for someone, with the use of today’s technology or social media apps and sites, with emojis and emoticons of hearts and rose, everything is easy! Why not use modern tech while using traditional way? Isn’t it a good idea of using today’s technology while not forgetting the traditional ways? With just some clicks of your thumb, you can now give the most beautiful yet affordable flowers for your loved ones! You don’t have to visit flower shops in person because like what has mentioned above, just like your favorite snacks from your favorite fast-food chains, you can now choose online the best and most beautiful yet affordable flowers from different flower shops that offer this kind of service. As of today, there are flower shops in the metro like in Manila, Makati, Quezon City and Paranaque that are ready-to-serve you if you wish to deliver fresh flowers to your special someone. To make it short, flower delivery can now be obtained online with just some clicks on your smartphones and laptops. Wherever you are and whatever you are doing, with just some couple of minutes, you can now express your love to your loved ones in one click away. Best Flower Delivery Manila – Aside from it is very accessible and affordable (depending on what type and quantity that you are going to choose), is the quality assurance that the service provider will offer to you. The freshness and the beauty of the flowers are rest assured that will be maintained from the store up to its destination. So, you do not need to be panicked if those flowers that you choose are still fresh when it is delivered because they will not let that happen! You just need some steps to start flower delivery, a mouse, keyboard and an internet connection and you are ready to go! Don’t worry because uncle Google is there for you to locate the nearest flower shops to your recipient to help you express your affection. Just type that location followed by the words “flower delivery shops” or anything related to it and there you have it. Fill some important information and how it will be paid, and then you are done. OH! Don’t forget your sweet message (which can be found on the website as notes). Look how plenty the flower deliveries are in Metro Manila to choose from so worry no more, chill and wait for your recipient’s message of gratefulness saying that they feel ‘kilig’ and special. Quality, check! Affordability, check! Accessibility, check! Less time consuming, check! See how easy and how hassle-free it is to have flower delivery? The only problem that you will encounter here is the quantity and what type of flower you are going to give. Unlike those material things that may take couple of days or a week, less hassle it is for you! So, what are you waiting for? Get your mouse and keyboard and start looking for the nearest flower shops that offer flower delivery. Surely you will not regret doing this kind of service instead of going into a market full of busy people. Flower delivery manila by Evys Flower shop is the top here in the Philippines!